Everything we do is focused on enriching the lives of those who choose to make their home with us and our teams are committed to the comfort and satisfaction of each individual resident. We offer a special blend of talents from the both the health care and hospitality industries to bring meaning to each day while providing every support residents may require. Services include dining and hospitality led by some of the best chefs in the industry, a wide range of social and recreational activities, as well as regular housekeeping and maintenance services. Our Villages have a dining room for each of our Neighbourhoods – each comfortably elegant offering healthy, delicious meals prepared by qualified chefs and served by our courteous team of servers and care partners. Many people tell us that one of the main reasons they choose to leave their home is because home maintenance becomes too much. Whether it’s making the beds, cleaning house or maintaining the outside yard, they simply no longer have the desire to do so or they’re physically unable to. At Schlegel Villages, we take care of everything. Our housekeeping and maintenance team keep the common areas and resident suites clean and tidy. Our laundry team looks after linen service as well as personal laundry as requested by residents or, if they so desire, residents can use the neighbourhood laundromat on "Main Street" to do your own laundry. Select retirement apartments in our full continuum of care villages also include a washer and dryer for personal use. A full-time recreation team and volunteers develop programming tailored to the interests of the residents, providing opportunities to interact and enjoy each other's company days, evenings and weekends. These teams are proud to bring a range of entertainment to life along Main Street throughout the week. 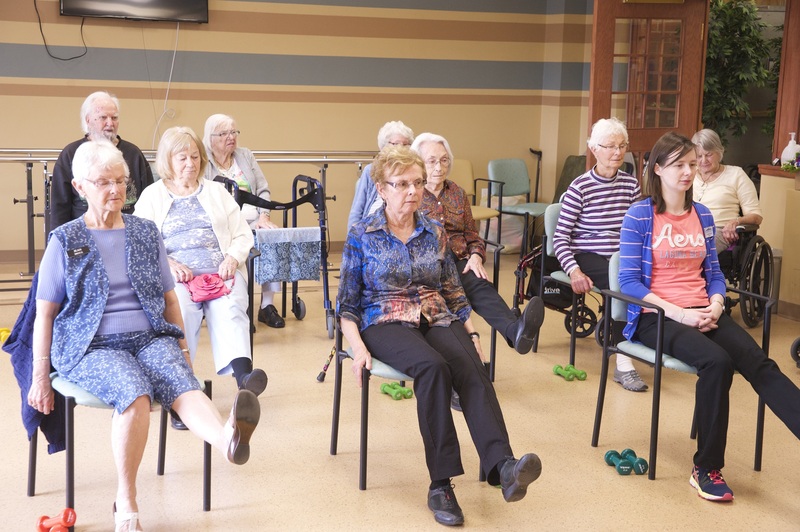 Residents of our retirement Villages also have a bus available for regular group outings, including shopping, lunches, theatre, fall leaf tours, and special trips..